We bring forth an alluring array of Stainless Steel Curtain Rods for our valuable customers. These curtain rods are manufactured using optimum quality material and elegant accessories, to cater to the preferred demands of customers. 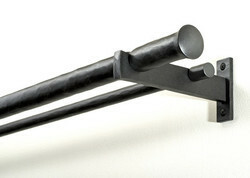 Each rod is made in tandem with the current market trends. One can ideally place these curtain rods in residential as well as commercial applications.